At weekends at Cinq Rivage Nogata student accommodation, head to the viewing decks at the top of the Tokyo Metropolitan Government Office for spectacular views of Tokyo, or browse the maze of stores at the Nakano Broadway shopping mall. Brush up on your local history at the fascinating Nakano-ku History and Folklore Museum, or relax in the peaceful Tetsugakudo Park, which looks especially beautiful in cherry blossom season. You’re just one minute’s walk from Nogata Station, so it’s easy to head out and explore the rest of Tokyo and famous landmarks like the Tokyo Tower and the Tsukiji Fish Market. 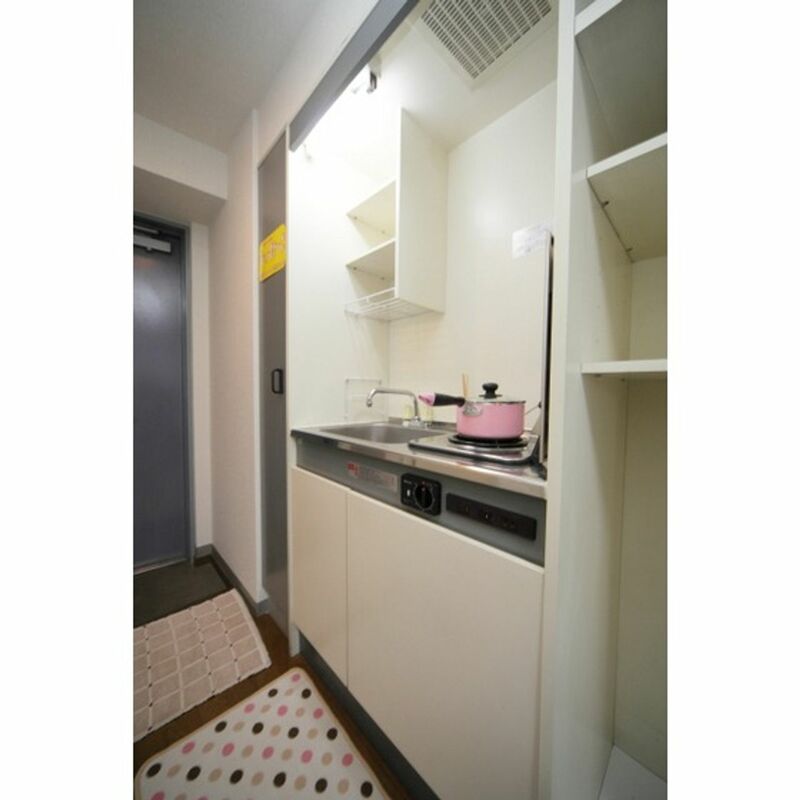 At Cinq Rivage Nogata, you’ll have your own furnished studio apartment to yourself in a managed student building. Start the day by stepping out onto your private balcony to admire the views of the Nishi-Shinjuku skyscrapers. Shower in the privacy of your own bathroom before picking out today’s outfit from your closet. Make yourself a cup of coffee in your kitchen area, or head around the corner for breakfast at ‘Olu’olu Coffee with a friend. It won’t take you long to get to your first lecture of the day. It’s a nine-minute train journey to the Waseda University campuses, the Japan Electronics College and the Japan College of Foreign Languages, and it’s 11 minutes to the Mejiro Campus of the Japan Women's University. When your classes are over for the day, come home to Cinq Rivage Nogata and continue your studies in the peace and quiet of your own studio. Afterwards, meet your friends downstairs in the student union before joining them for a delicious sushi dinner at the restaurant just round the corner. If you’d rather keep working, stay in and cook a hearty meal for yourself at the stove in your kitchen area. There are supermarkets and shopping centres within an easy walk or cycle, so you won’t have far to go when you need to stock up on groceries. You’ll even have your own washing machine, so you’ll easily stay on top of your laundry in your cosy, air conditioned home in Tokyo. Wir haben leider keine Unterkunft gefunden, die deinen Wünschen entspricht.Alle Ganze Wohnung in Cinq Rivage Nogata ansehen.